In our fourth edition of the monthly Chef's Table, Christian Bruhns, Executive Chef at The Hong Kong Jockey Club shares his inspiration to become a chef and much more. 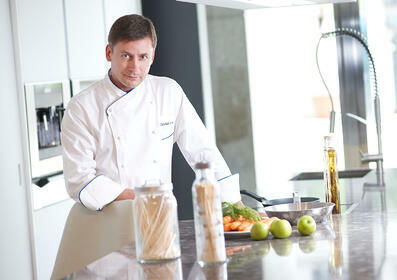 Chef Christian brings over 26 years of culinary experience to The Hong Kong Jockey Club. Prior to his appointment, he worked as Executive Chef at different Hilton hotels worldwide and at The St. Regis Singapore. In 2012 he joined dnata Singapore Pte Ltd where he had the chance to learn and embrace the complexity of airline catering. My passion for food and cooking started at early age, helping my mother in the kitchen when we entertained friends and family at home. At least once a week we dined out and I always asked to sit near the doors leading to the kitchen “to have a peak” into the mysterious chefs world. Already then I felt some sought of connection to culinary and hospitality. At the age of 16 I decided to pursue the Chefs career, starting with an apprenticeship in a mid-size hotel in the north of Germany. Following work and training in a couple of Michelin star restaurant in the Black Forest area, I joined a world cruise as a cook, then moved abroad to widen my culinary knowledge and skills in restaurants, hotels, airline catering in South Africa, Switzerland, UAE, UK, the States, China, Malaysia, Singapore and finally Hong Kong…and I am still leaning every day. Fact is we did not face any major challenges. As a team here at The Hong Kong Jockey Club we are constantly looking for new ways to improve our operation. Overall waste management and in particular food waste reduction is one of our on-going key initiatives, which our top management and the sustainability team fully support. 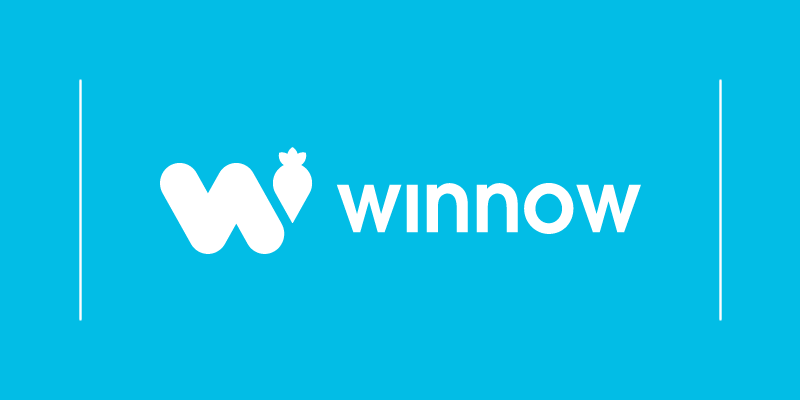 Right from the start when we implemented the Winnow system, it created awareness within the team. That was important in order to lead everybody to the same goal. Our advance planning of food purchases and daily production is now more accurate. My production kitchen prepares food/meals for up to 6000 guests on race days for multiple outlets. We are analysing the data/trends and make changes were needed, i.e. 4 to 7 types of sliced fruits for majority of our guests: we identified in which location the consumption is lower than others – we could immediately reduce our par stock and standard prep quantity. The times where the Chef doesn`t leave his kitchen are over. Through the net, apps, tv shows, travel and global chef events, our customers are extremely knowledgeable, passionate and critical about food. Interacting with guests and providing personalized customer experiences is the key to win their trust and loyalty. Networking with colleagues and Chef friends around the world, mainly through LinkedIn. As a team we are visiting hospitality exhibitions in Hong Kong, Singapore and Germany, as well we have regular benchmarking dinners for Chinese and Western cuisine scheduled. We are constantly doing product research and conduct food tastings on a daily basis. 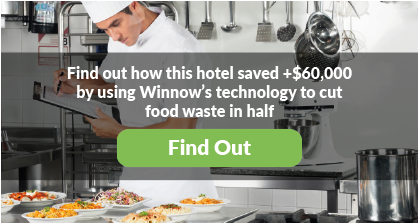 Key aspects for more environmentally sustainable kitchen/catering operation are energy and water efficiency, the reduction of our enviromental impact along the food supply chain. Chefs need to employ their skills and creativity to delight customers and support sustainable use of resources. As seasoned Chefs we appreciate and respect ALL produce nature provides us. We must educate everybody who can make an impact and food waste reduction should follow naturally. Leo Waldmeier former Executive Chef of The Drake Hotel in Chicago. He was my mentor professionally and shaped my leadership skills. Fortunately as part of my production kitchen I still have a fully equipped butchery and a well-trained team. Just recently we developed 3 new types of “east meets west” spiced sausages – lots of fun and our guests were thrilled. 2nd best – at the French Laundry (by Thomas Keller) in Nappa Valley. Best – while living in Chicago, I worked for a week at Charlie Trotters Restaurant. One evening in the midst of dinner service around 9:30pm, Charlie asked another colleague and me to sit down in his fully booked restaurant (in chef whites). He then served us a 12course tasting menu with wine pairing – an unforgettable experience! I love a good authentic Singapore Laksa. White asparagus from my home town with sauce hollandaise and smoked ham is also on my list of favorites. New York, LA for new culinary trends, Cape Town and surroundings for its produce, Hong Kong and Singapore for its versatile flavours.